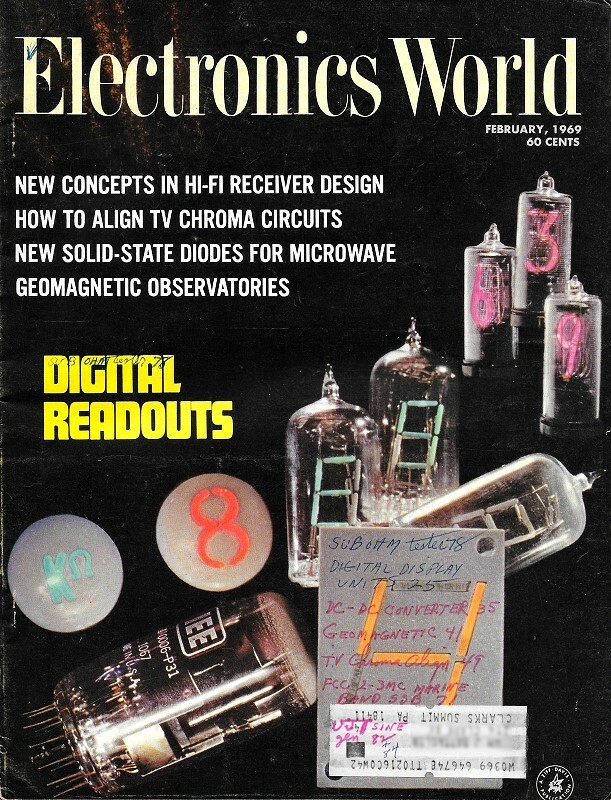 Akin to how the National Company ran a long series ( a couple hundred altogether) of infomercial type ads in the ARRL's QST magazine from the 1930s through the 1950s, Mallory had its "Tips for Technicians" run in Electronics World (and maybe other electronics magazines of the era). Being a major capacitor manufacturer, its ads featured brief tutorials on various types of capacitors, their characteristics, and how they should be used in circuits - both for new design and when replacing capacitors in existing equipment. Why some filter capacitors develop hum and some don't. Aluminum electrolytic capacitors are widely used as filters in DC Power Supplies. This is because of their large capacitance in relatively small size. All in all, they do an efficient job of reducing ripple (hum) to acceptable levels. 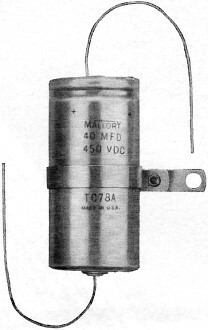 However, all electrolytic capacitors are not alike. This is often why some types seem to allow hum to rise to objectionable levels more quickly than do others. In order to understand why, we must investigate actual construction methods. 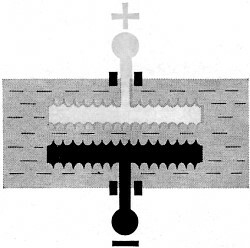 When high ripple currents are applied to polarized electrolytics, a thin oxide film forms on the so-called "cathode". It begins to assume the characteristics of a second anode. This in turn, has the same effect as placing two capacitors in series. Consequently, overall capacitance is reduced. Inevitably hum increases. This action is especially noticeable in electrolytics which use plain foil as the" cathode". This is simply because the oxide builds up over a relatively small area. Mallory avoids this problem by etching the" cathode" on electrolytics. As a result, oxide build-up is spread over a vastly increased area. Therefore, ripple currents are maintained at very low levels for very long time periods. Of course etched "cathodes" cost a lot more to make. But you get them from Malloy at no extra cost. Meanwhile, see your local Franchised Mallory Distributor for capacitors, resistors, controls, switches, semiconductors, and batteries. Or write Mallory Distributor Products Company, a division of P. R. Mallory & Co. Inc., Indianapolis, Indiana 46206. Don't Forget To Ask 'Em "What else needs fixing?"